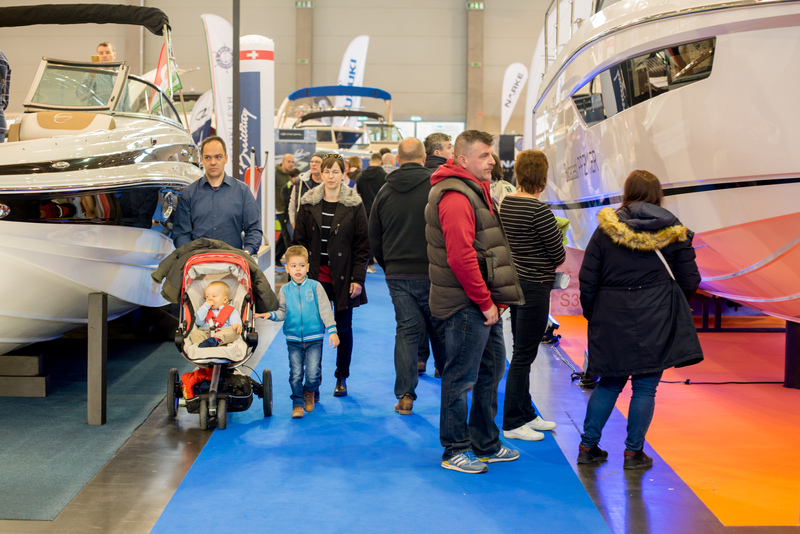 The next edition of Budapest Boat Show will await the visitors with Travel exhibition and Caravan Salon again on 27 February - 1 March 2020! Let's meet again! 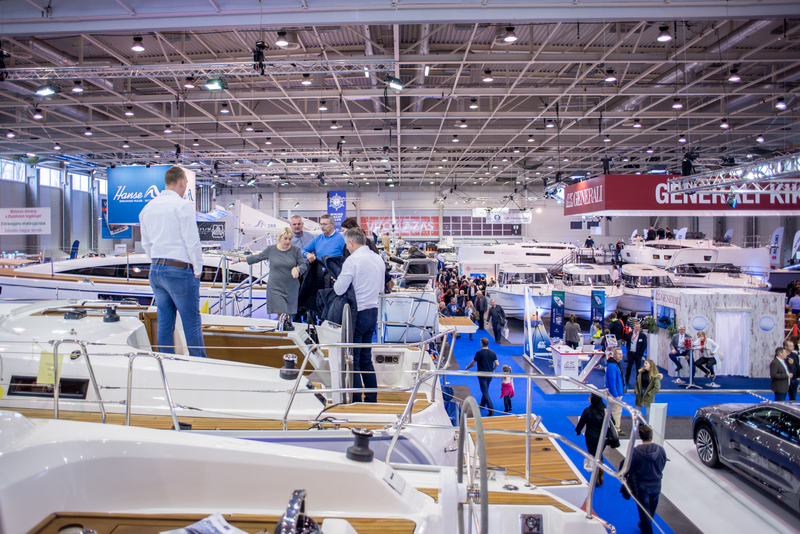 Both the organisers and visitors agreed that holding Budapest Boat Show together with Travel exhibition was a successful decision. 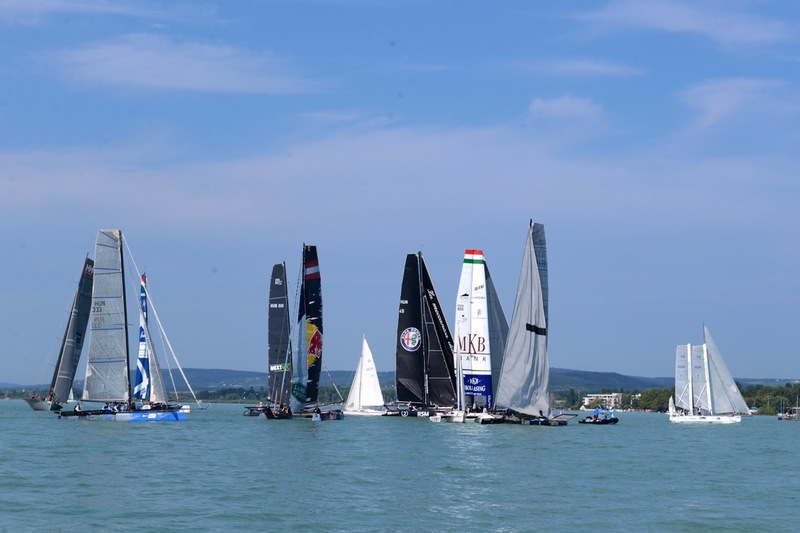 Hungary’s greatest landlocked harbour, the season opening grand event of boating and water sports presented the Hungarian sailboat, motor and electric boat offering for the 28th time in 2019. 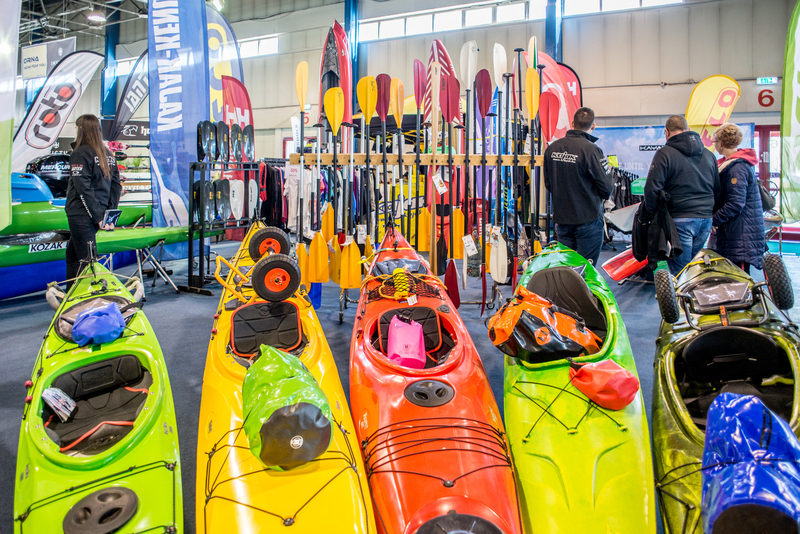 Hungexpo’s latest hall (G), was completely filled with the more than 110 boats of the 83 participating exhibitors, even occupying a part of hall F where the related services, equipment and water sports awaited the thousands of visitors. 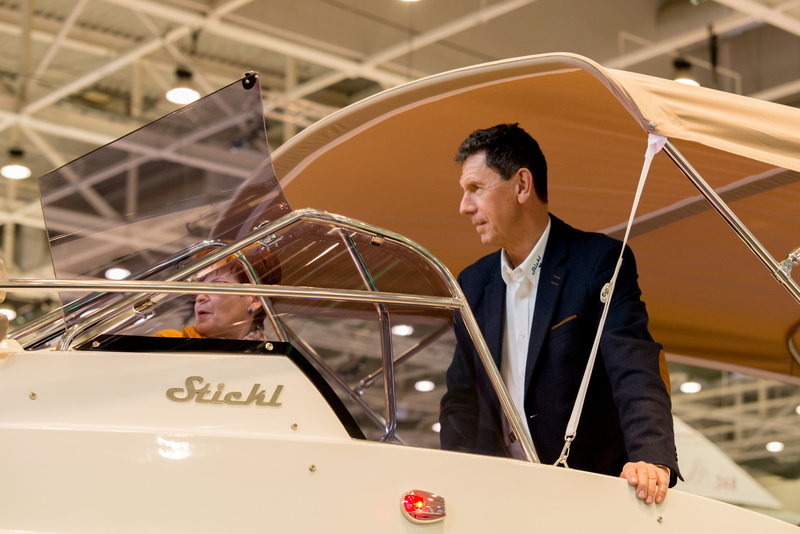 Great achievement of Budapest Boat Show that such volume of electric boats were never exhibited before in the CEE region. 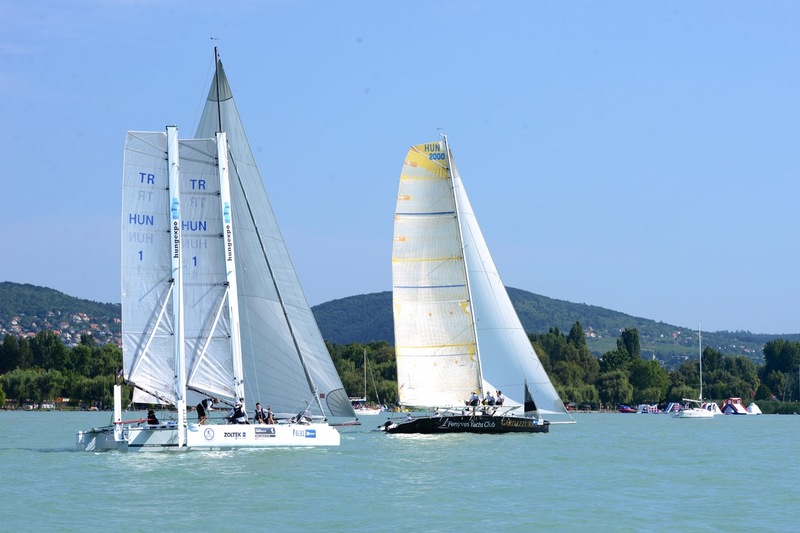 Hungarian Yachting Association (MVSz) presented the “Sail in Hungary” program and the discount card connected to it. The discount system covers several hundred cultural, gastronomic or sailing related services (charter companies, boat building professionals, sailing schools) as well as accommodations. Members of this system offers the card holders various discounts. The aim of this network is to support small and medium enterprises, and to provide discounts to as many visitors as possible for using local services during their vacation and active recreation. 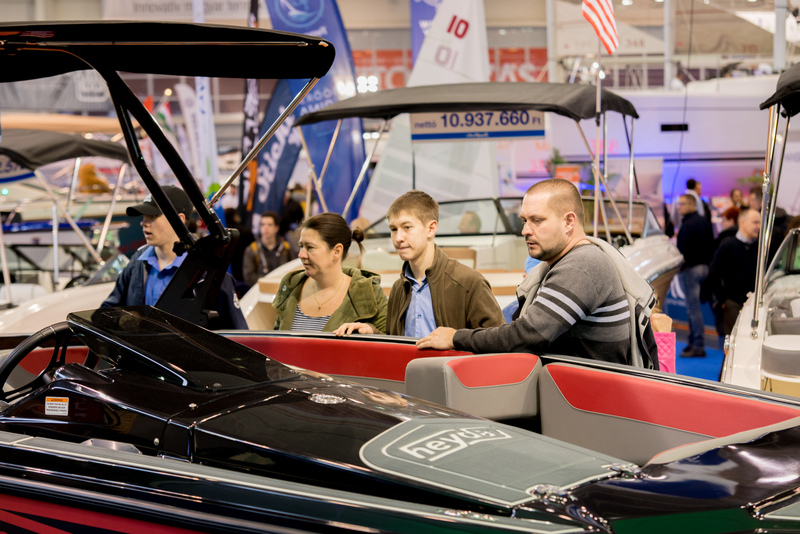 Several companies brought their products, services and novelties to Budapest Boat Show for the first time, like the Amper Yacht electric boat manufacturer, Antila Yachts Magyarország sailing boat retailer, Narke electric boat manufacturer, Mymarine boat covering and interior designer and Arteries, the electronic instrument developer company. 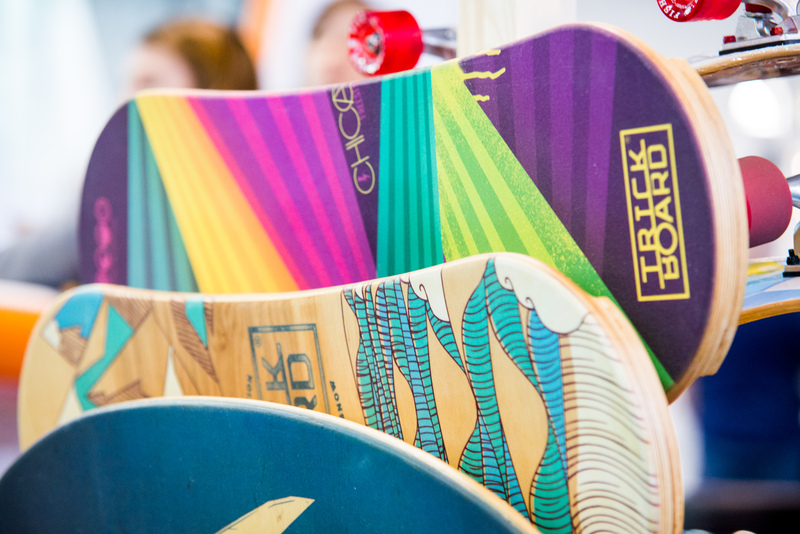 Multiple loyal exhibitors also showcased their innovations. 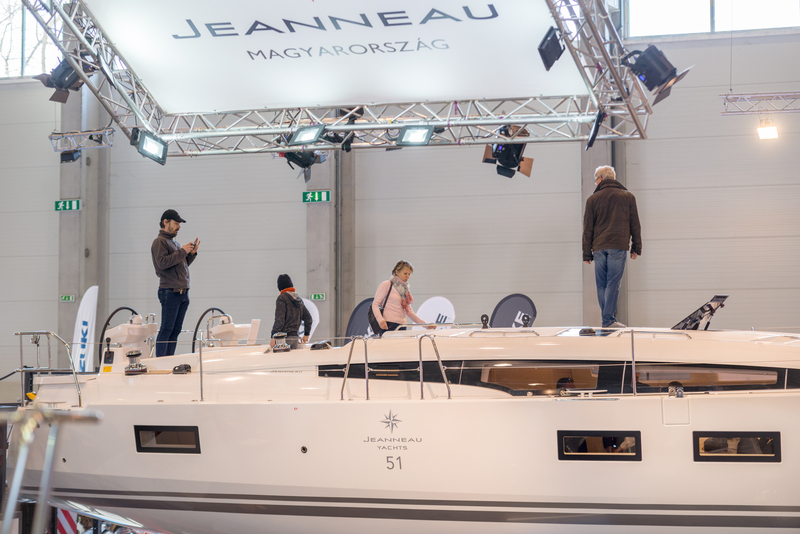 The Sealine electric boat product line premiered on Budapest Boat Show in Hungary, as well as the longest sailboat in the history of the exhibition, the 51 feet (15m) Jeanneau. 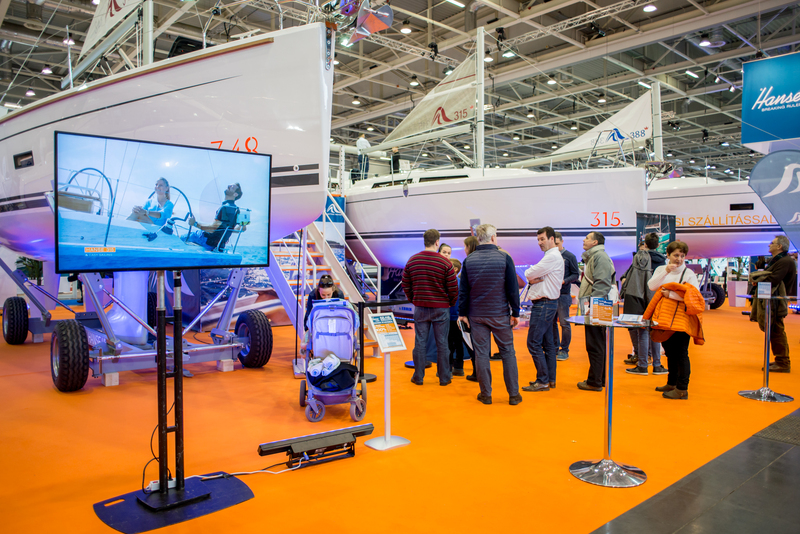 The Suncamper 35 and Balt 818 were also presented to the Hungarian market for the first time on the event, but many visitors stopped to admire the Hungexpo – Hungarian Silence racing trimaran as well, which was exclusively designed and built in Hungary. 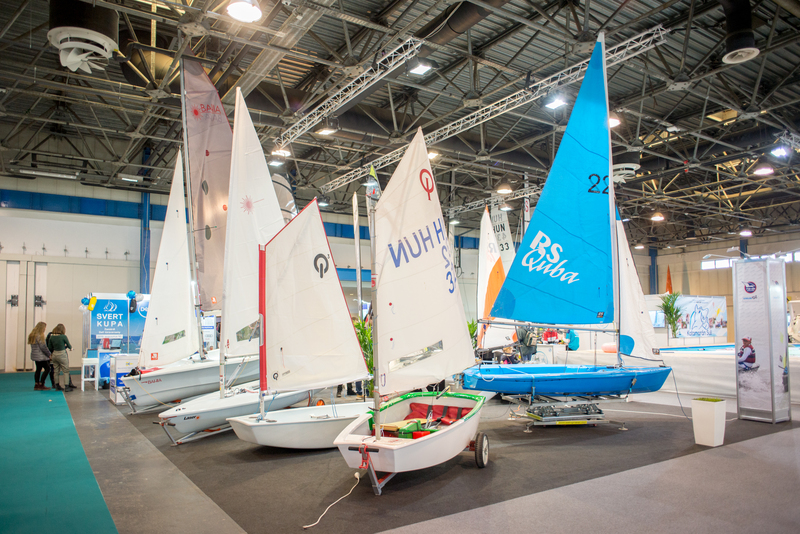 The winners of the Novelty Competition, including the first electrojet in the world designed for mass production and an AI driven sailing instrument family, earned distinguished attention on the event. 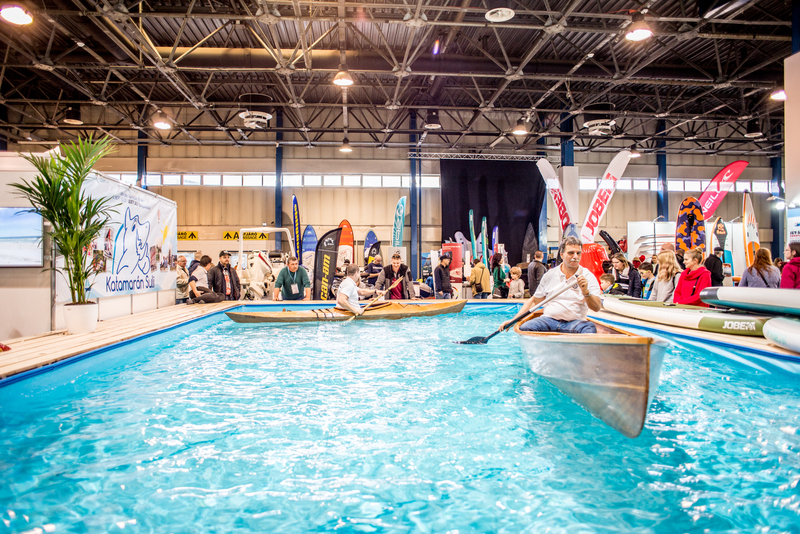 The exhibition put a great emphasis on presenting the boating possibilities of Hungary, therefore Fertő lake as a Guest of Honour was invited to showcase their developments that will take place in the near future. 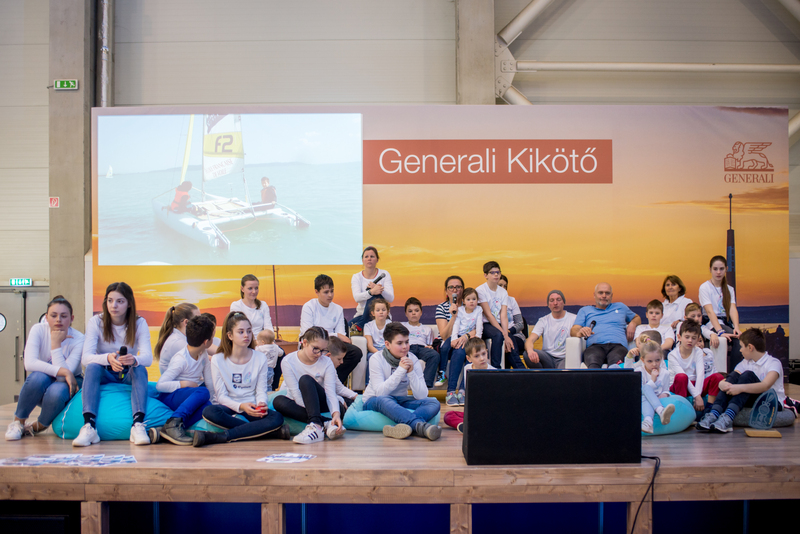 The GENERALI Harbour Stage and the Show Pool awaited the visitors with various programs, such as novelties, race evaluations, round table discussions, film screenings and tests. 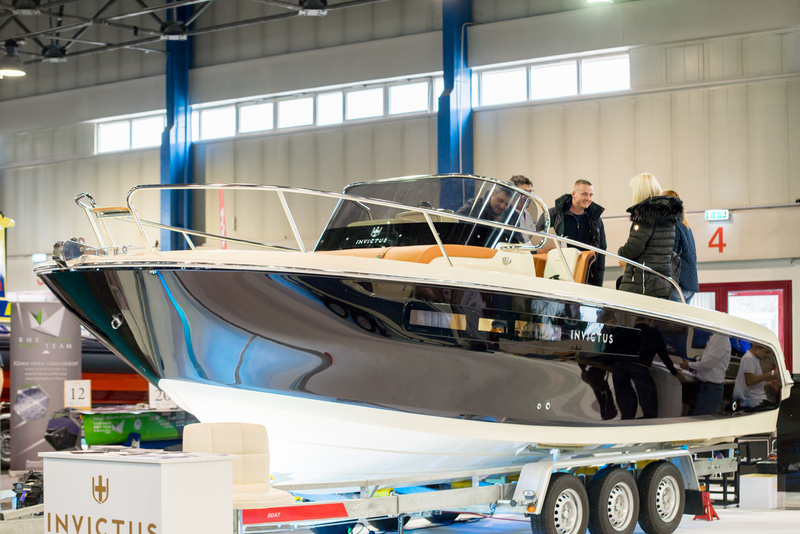 Budapest Boat Show and Balaton Boat Show, the two biggest boat exhibitions of Hungary made a strategic agreement on mutually supporting one another. The cooperation was waited for quite some time now, since these two events are perfectly complete each other. 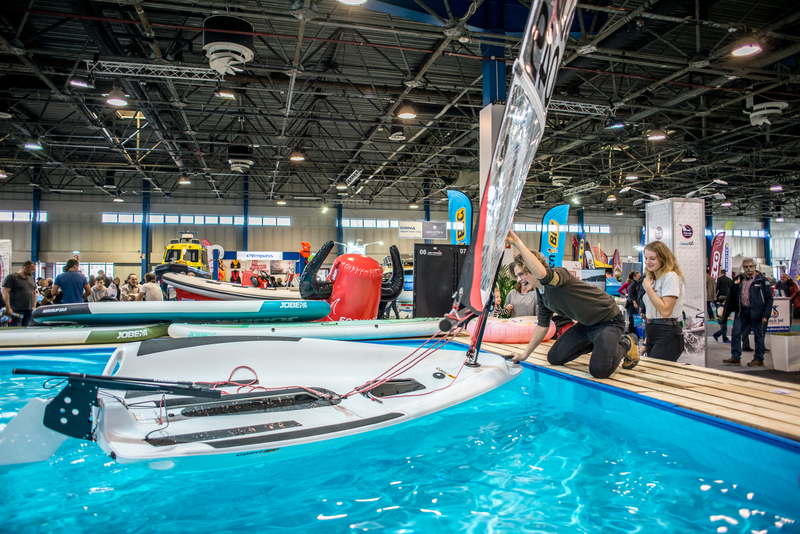 Budapest Boat Show provides a meeting point at HUNGEXPO for people interested in boating, just before the season, but Balaton Boat Show is organized at the end of the season on the beginning of the autumn sales period. The uniqueness of the latter is the boats can be viewed and tried just right next to their natural habitat, on the port at Kenese Marina Port. 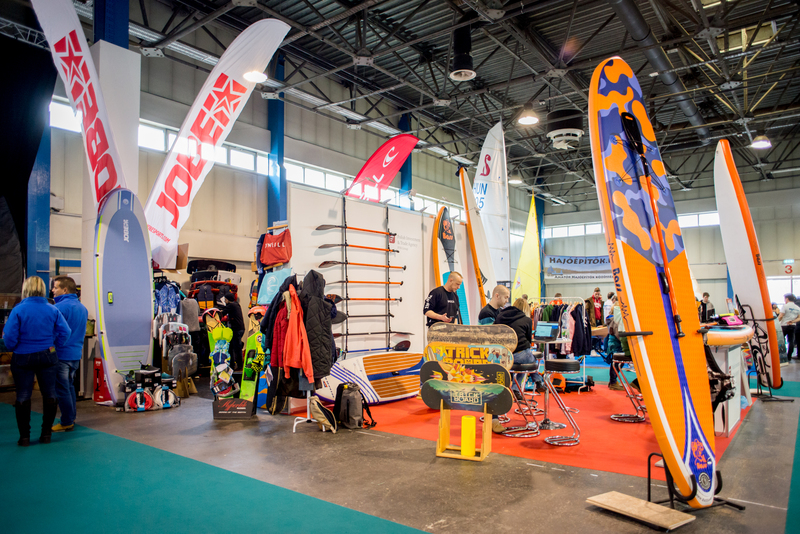 The biggest winners of the cooperation are the players of the market, the exhibitors, since the organizers offering extra early bird discounts to those who are willing to apply for both exhibitions ahead of time. Owing to the mutual communication, the news’ of the companies are reaching a far wider audience. 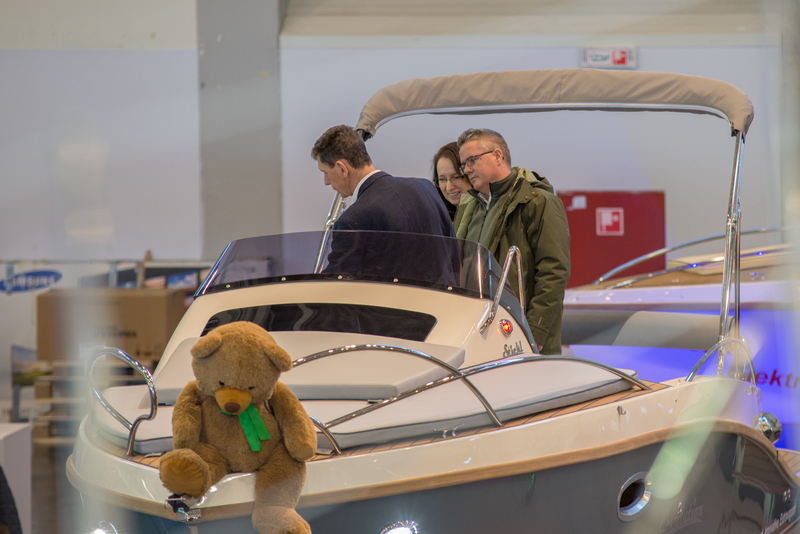 First step of the cooperation was that Budapest Boat Show offered 5% discount for the participating exhibitors of Balaton Boat Show applying to the Budapest event before 9 September. 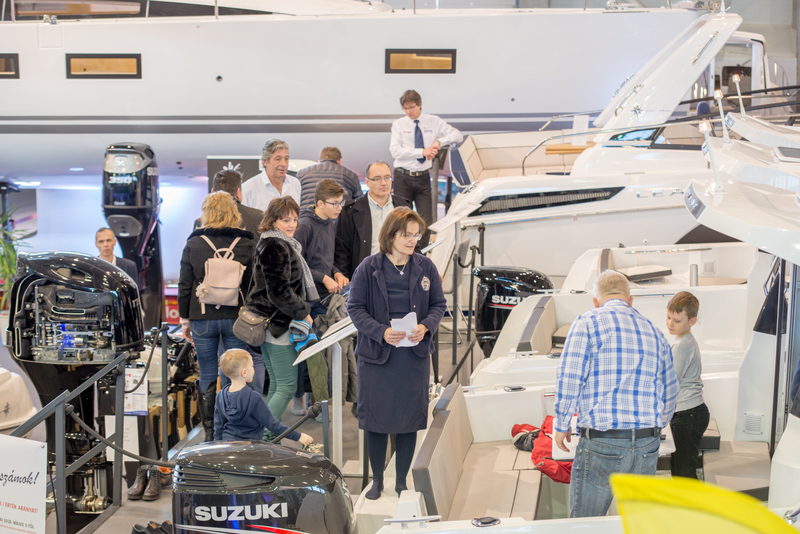 On the other hand the extra discount for Balaton Boat Show will be available until 30 April 2019 for the exhibitors of Budapest Boat Show. The cooperation was signed on the gala dinner of Balaton Boat Show on 7-9 September 2018. 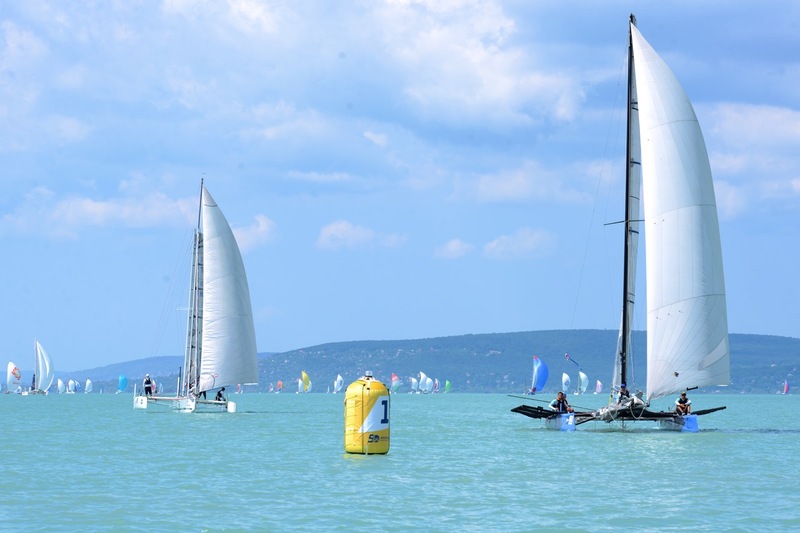 After two practice races the Volvo Hight Tech Regatta and Fehérszalag, the first real competition of Hungexpo – Hungarian Silence was the 50th Kékszalag, 2018. between 26-27 July 2018, where the team gathered valuable experiences for further improvements and successes. 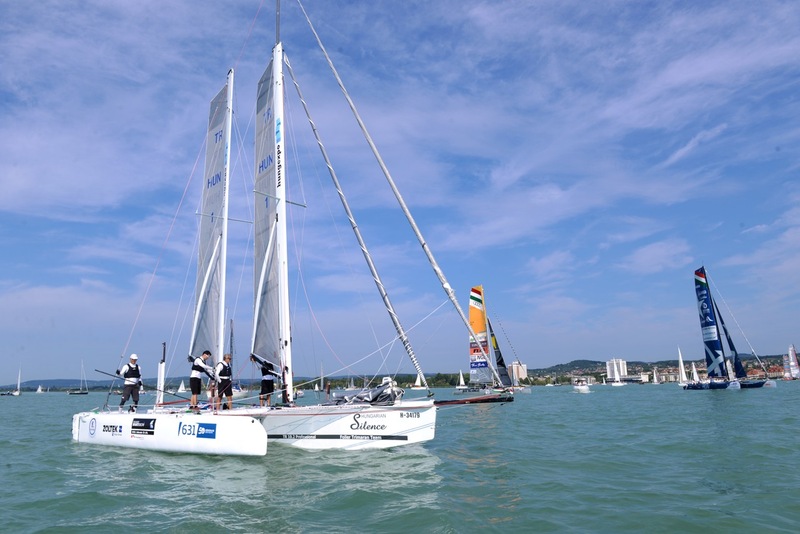 The trimaran was announced to the public one month ago, so the first year is all about get to know each other for the team and the trimaran as well. Both Hungexpo and the crew are excited for the Kékszalag since this provides most of the experiences for the season. 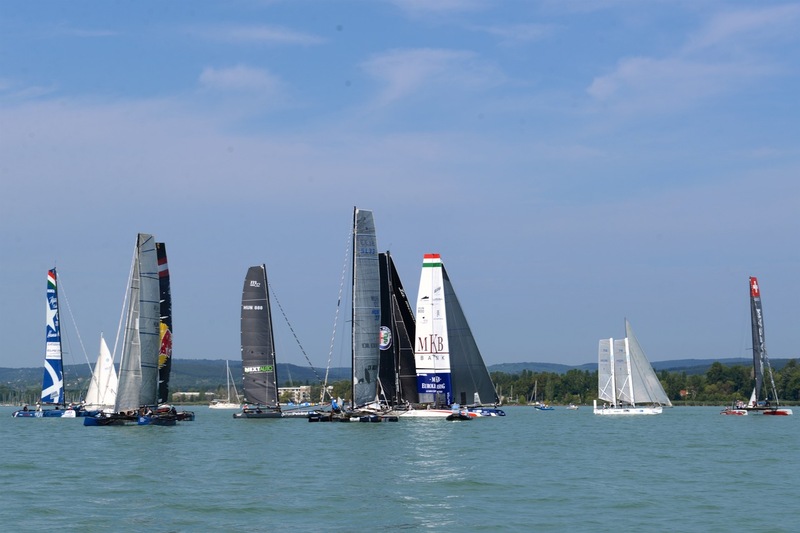 The competition started at 9am on 26 July, where Hungexpo – Hungarian Silence crossed the start line with the fastest boats, the catamarans. 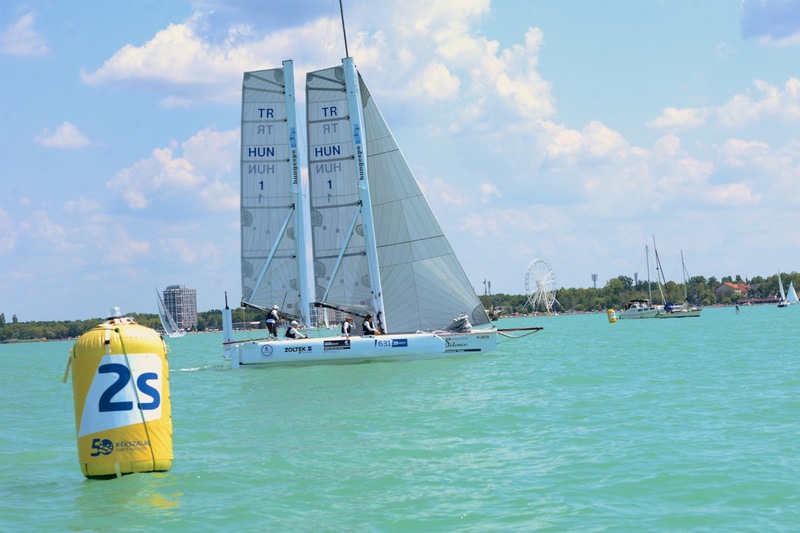 Later the trimaran kept up with the leaders and took the first checkpoint in the first 20 boats. 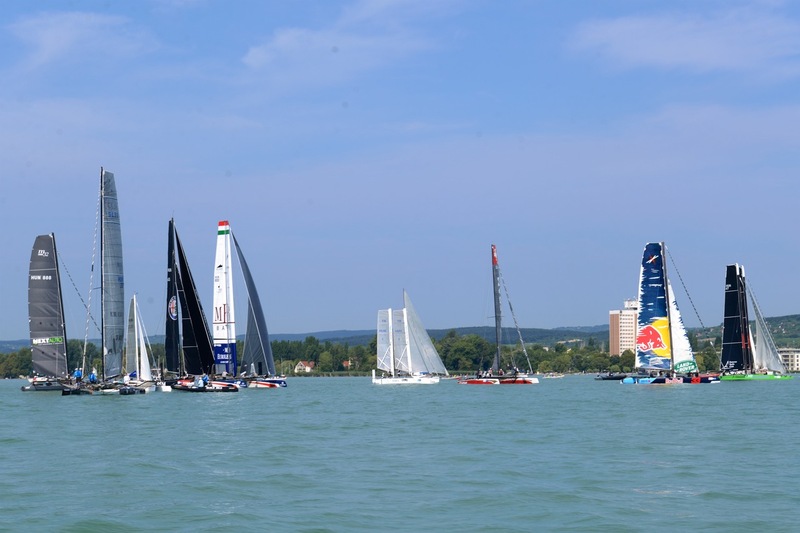 Sadly, heading to Keszthely due to the not favourable wind, the boat fall behind to the main group, but after leaving the last buoy Hungexpo – Hungarian Silence showed its best form and took over more than 50 boats. Finally, the team crossed the finish line as the 98th competitor from the 682 participants. Hungexpo Zrt. 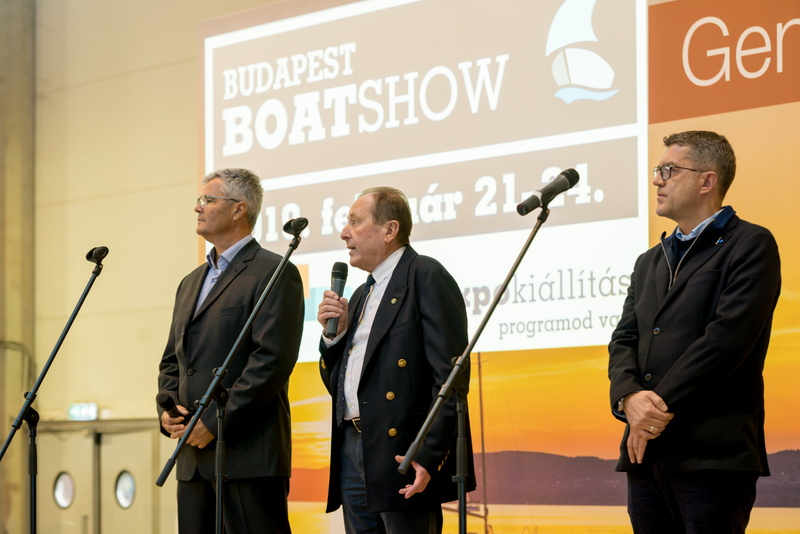 and Budapest Boat Show is proud of this success and the possibility to sponsor a Hungarian innovative team. Naturally the work isn’t over yet, since the fresh experiences will lead to several improvements on the trimaran for the better results. 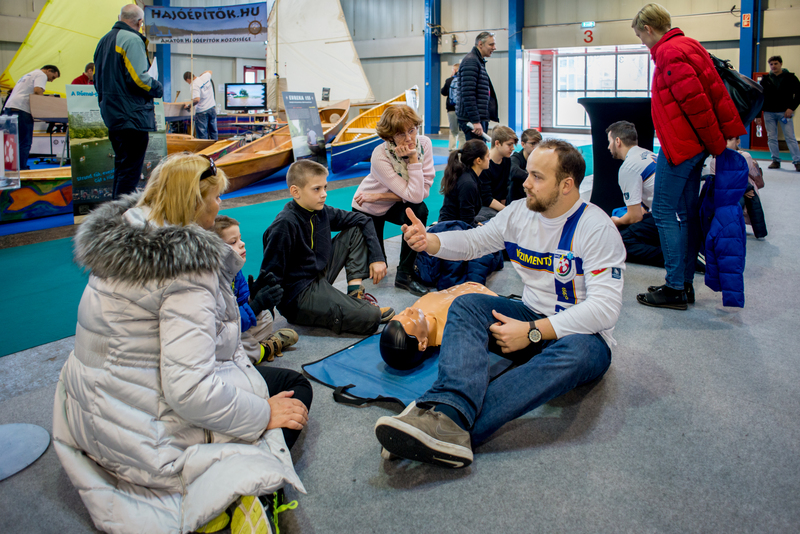 Besides the works on the boat, it is inevitable to practice and gather more experience that will take Hungexpo – Hungarian Silence to the top 10 on the next Kékszalag competition.